Here the new B48 engine in a new X1 front wheel drive and also 4×4,,,,,I know interesting,,,,I finally got to work on one and drive one and check it out,,,had to perform its first oil service. 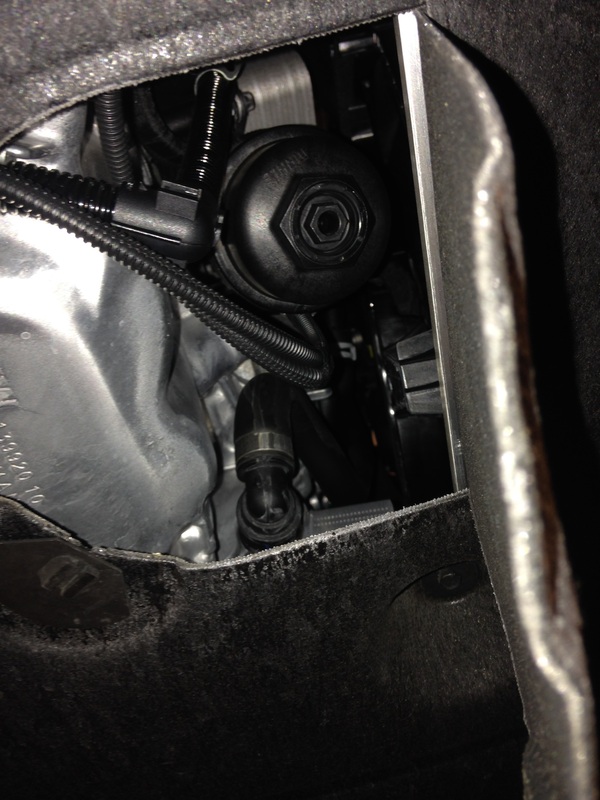 Here the location of the oil filter under the car,,,,you can see there is a small drain plug at the bottom of the filter,,,,the new factory and yes I said factory oil filter came with the drain plug for the oil filter,,,,,I know the aftermarket filter will not come with one,,,,changing the oil filter is not a easy thing,,,,,not enough room to get a socket on,,,,you need a short 32 mm socket,,,,if not the subframe gets in the way. Here something interesting,,,I was resetting the oil service and noticed you can only reset the oil service, vehicle check ,and brake flush,,,,you can not reset or see the front and rear brakes,,,,,the brakes are old school E46 only when the brake sensor starts to touch will it indicate brakes are due,,,,,,ok driving this car and new engine,,,,power was ok for this car,,,it shifted good through the gears,,,,it felt like a front wheel drive car but also you can feel the 4×4,,,,headroom and interior space was ok,,,,you can sit 4 male adults in this car no problem,,,also the gear shifter was old school,,,you actually have to move it into the next shift gate.,,,I enjoyed driving the car,,,,will see how this new engine goes in the future. This entry was posted in Uncategorized and tagged B48 engine, F48. Bookmark the permalink. 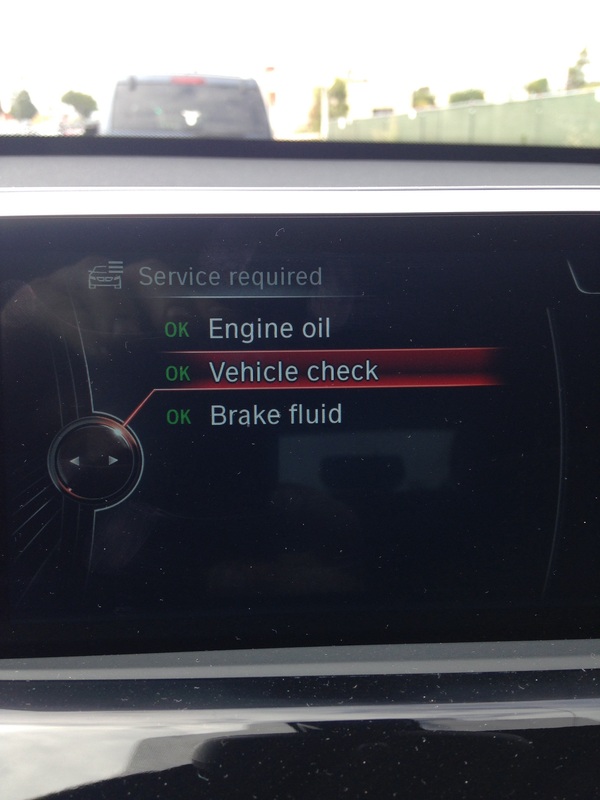 I’m planning to do a service on my F30 330i with the same engine, and would like to know the socket size for the drain nut at the bottom of the car. Do you know the socket size required? I think it’s a 32mm short socket,,,,I think I could be wrong,,,,lol,,,,,I have my toolbox right next to me and it’s easy to just keep grabbing the right socket until it fits,,,,I really don’t think about it there all different sizes now with the diesels engine also. Hi, will the B48 have the same intake valve carbon-buildup issue common to all DI engines? My wife wants to buy the X1, and I’m wary of what I saw with BMW’s first DI engines– most need walnut blasting at about 60K. 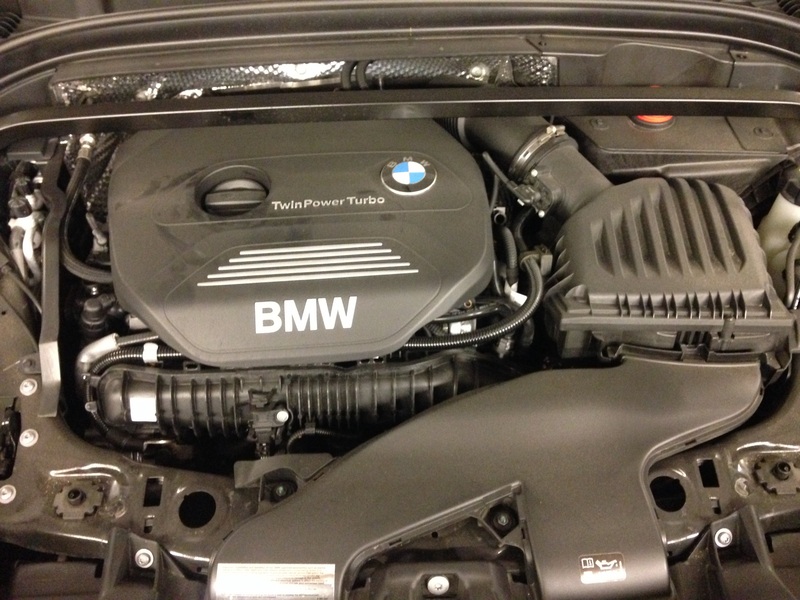 Did BMW do anything different with the intake on the B48 to prevent this problem? Oh good question,,,,I went to school for that engine,,,,and I remember asking that same question,,,,the teacher had no answer for me on that,,,,all he said is that it is to early to tell,,,,I would like to think we still might have the same problem due to there is no fuel washing down the intake valves on a direct injection motor,,,,I know other car makers are having the same problem.,,,Honda and Mercedes to name a few.